UPDATE: as of 9/12/2013, the Communications and Membership Manager position and the Oregon Director position has been filled. The Montana Director position remains open. It is with deep gratitude, an abundance of caution, and a whole lot of excitement that we have decided to open up 3 new positions to begin in the New Year. We have seen exponential growth in our membership since we launched our Giving Project model in 2012–our community has grown to well over 1,000 donors. Making these hires will build our capacity to keep our momentum going, sustain a larger organization, and increase our grantmaking. We have an opening over the next few years to make significant, long-lasting progress on issues like wealth inequality and immigration reform. A larger staff will help us rise to this opportunity by engaging more people and funding more organizations. These hires are just one part of our recently adopted 3-year Strategic Plan. Please keep an eye out for the formal launch of the new plan next month. 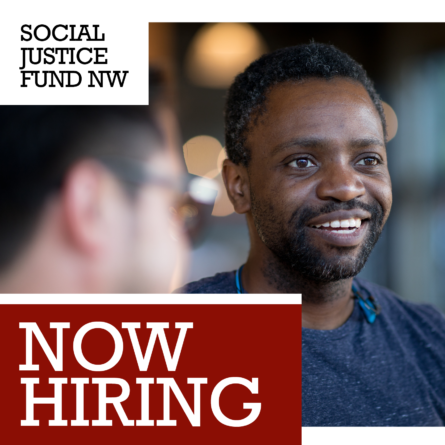 One new position will be based out of Seattle–the Communications and Membership Manager. This person will help us keep in touch with our larger membership and share more inspiring stories about our work and our grantees with all of you. The other two roles will be remote. 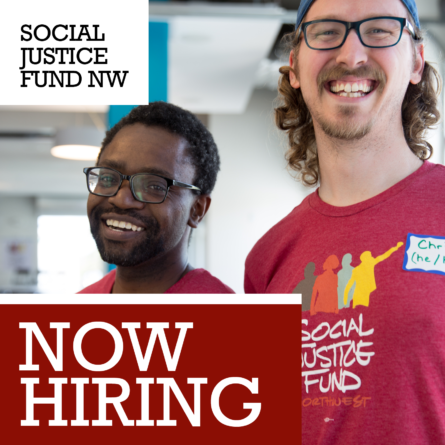 Building off the new energy of this year's Giving Projects based in Montana and Oregon, we are looking for an Oregon Directorand Montana Director. They will work to strengthen our local projects, build our base of support, and increase our public presence. Please see the linked job descriptions and help us spread the word! We’re hoping to have all of the positions filled by the end of January, 2013. 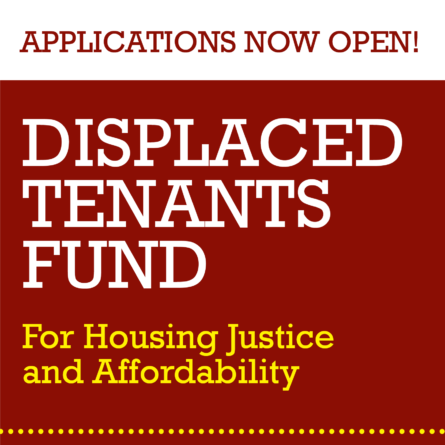 Please direct any questions to hr@socialjusticefund.org. We look forward to building with you in the New Year!